Proximo’s portfolio of premium spirits consists of world class brands across a number of diﬀerent categories. Since its launch, the brand has grown to oﬀer over 20 bold and intense ﬂavors! 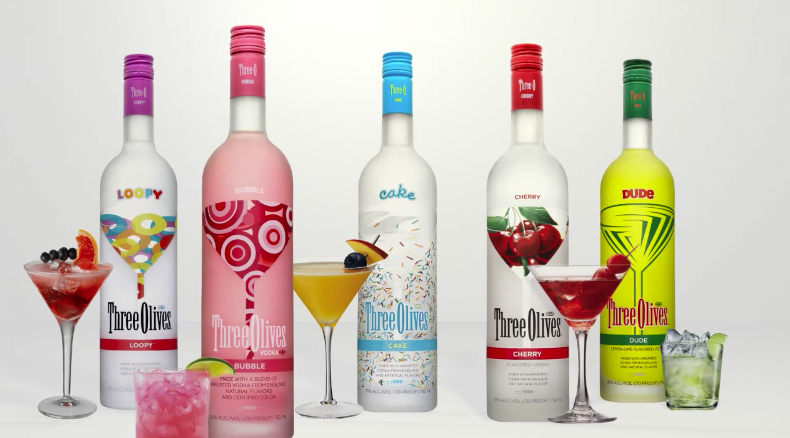 Three Olives is the fastest growing super-premium vodka brand with a full range of delicious ﬂavors resulting in endless cocktail creations. 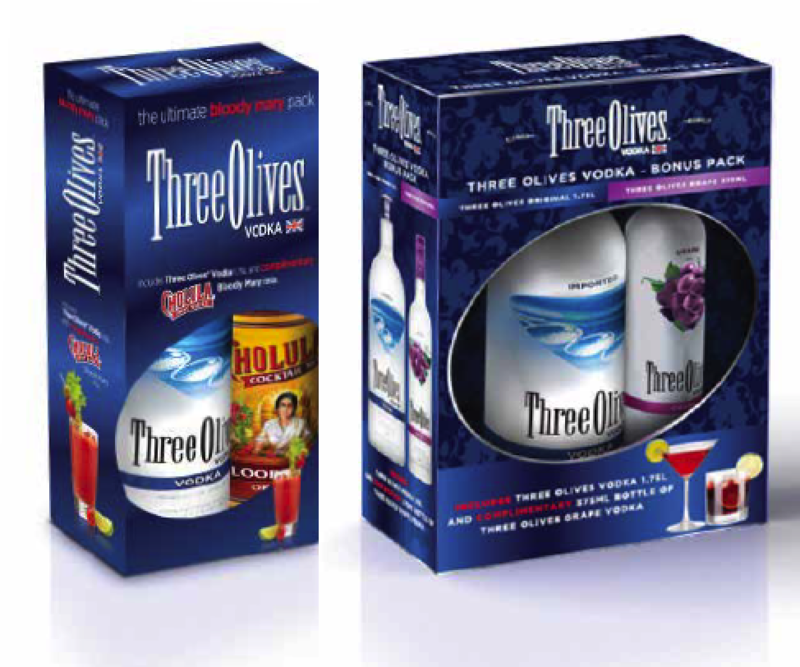 In 2012, Three Olives launched with a new ﬂavor and tasked us with bringing it to life; to their sales team, distributors and consumers. 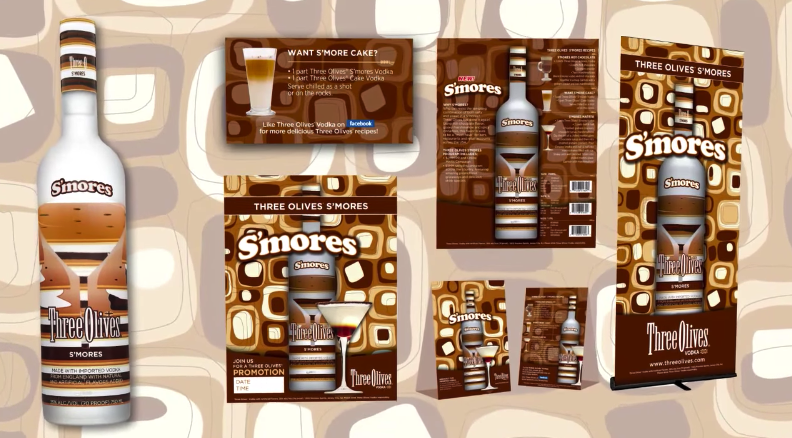 We illustrated the personality of their new ﬂavor S’mores Vodka through a series of sales videos and commercials. The success of Three Olive’s S’mores launch campaign solidiﬁed our relationship with our client. We have supported them on other brand launches, marketing & commercials assets for internal sales team and direct to market. Proximo’s portfolio brands include: Jose Cuervo, Hangar One Vodka and Kraken Rum.